-This position required strong background in EPC, Power and Energy, Oil and Gas experience. This is an excellent opportunity to join an emerging power engineering company with aggressive growth plans in the region where you will be working closely with a team of qualified professionals and an experienced foreign management. This role reports directly to the Director. -Manage potential projects in Combined Cycle Gas Turbines (CCGT), Coal, Hydro and Renewables. -Lead and initiate successful work streams to improve existing project performance, and to secure future projects. -Managing JV investments with MNCs and State Owned Enterprises. -Negotiation with MNCs for joint investment opportunities in Power Generation in Thermal, Hydro and renewable sectors. -Leading AND Managing efficiently in business development, commercial and operations, technical, feasibility and investigative and project management sections. 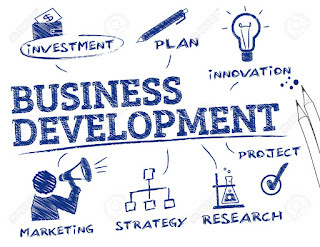 -Compiling the strategy and master plan for competitive advantages over competitors by successfully managing and leading commercial, operations, technical, special projects for development agencies, project implementation control sectors. -Improve team work, HR processing and the leadership abilities of local employees. -Degree in Engineering, preferably with PG degree/ diploma in Business Management. -Analytical, process oriented, structured in approach, performance focused with ability to manage larger volume of work within tight deadlines. -Demonstrate experience in financial planning and strategy, managing profitability, strategic planning, quality management, promoting process improvement, forecasting, corporate finance and developing budgets. -Degree qualified, with client facing and international communication skills. -They must thrive in project planning, and working with project teams internationally. -A background of business skills management, budgeting and analysis is advantageous. -Proven track record of Business development and commercial input of power generation projects.